The company is Armis and they are looking for a Nigerian to make a review of their family game, record the review and post it on YouTube. And you'll get paid instantly. 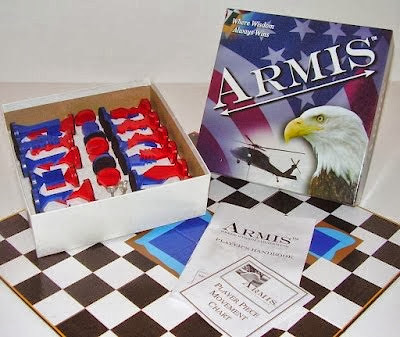 Armis is a high strategy board game created in the USA for worldwide enjoyment. Armis provides a daily brain workout and is currently played online in over 130 countries. This job is for someone presently residing in Nigeria who likes to play Armis to do a video review of the game. Your job is to create a youtube-ready video review of Armis. Video can be done in any non-English official language of your country. Special note for all Armis video presentations: please keep in mind that Armis is more of a family game than a war game, so in that light we try to use certain keywords for certain activities, ie: we 'activate' the Nuke rather than 'blow it up', or 'detonation' it; we 'take', 'remove', or 'capture' player pieces instead of 'kill', 'crush', or 'destroy' 'men'. ; we play against 'the opponent', to 'win' not against 'the enemy' to 'beat'.them. Lastly, we try not to capture our opponent's Child during any assignment. Use the game located at www.ArmisGame.com, press F11 for full screen using the red frame as your outer-boarder. Our budget for this job is $30.